Embarrassingly Easy Chicken Pot Pie | Let's Cook With Bry! 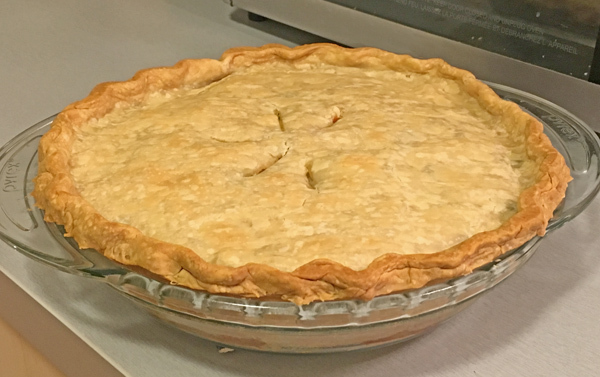 Perhaps a better title would be “Semi-Homemade Chicken Pot Pie,” but it really is embarrassing how easy it is to make this hearty dish that will make your kitchen smell wonderful and generate enthusiastic requests for seconds! This is the basic recipe, and you can freely substitute or improvise, such as using turkey instead of chicken, add diced celery/potato/onion, use a variation of the soup base, etc. Bake one of the pie crusts according to the packaging directions. 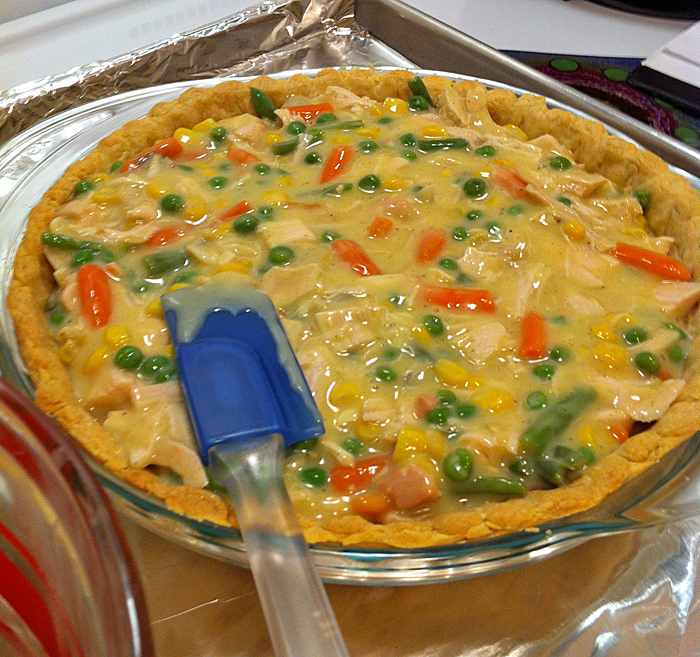 Be sure to prick the crust several times with a fork to prevent bubbling. Meanwhile, shred the chicken into bite-sized pieces, removing the bones and skin, and set aside. Microwave the vegetables with a little water (and season them with your spices, if you like) until tender but firm, about 6 minutes. In a medium bowl, whisk together the condensed soup, milk, and your choice of seasonings. In a large bowl, combine the chicken and the vegetables. Add the soup mixture and thoroughly combine. 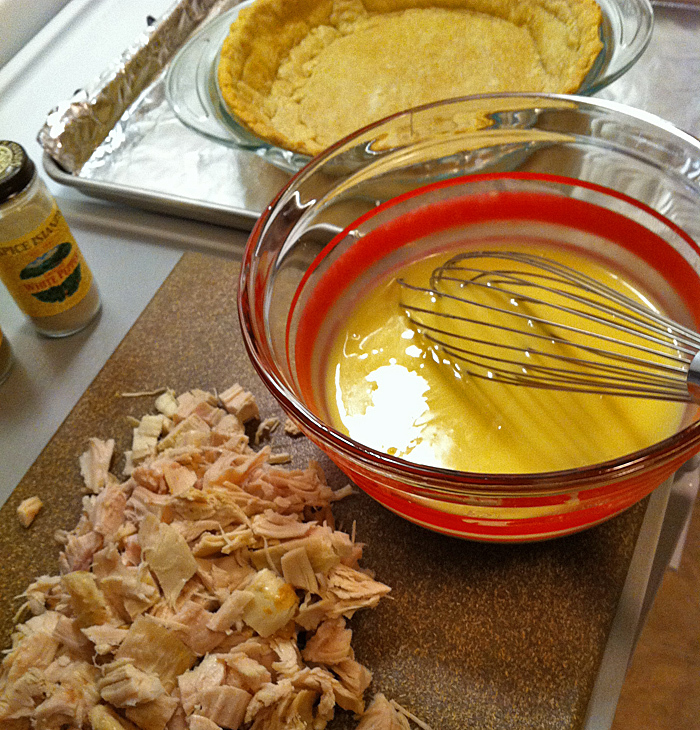 Pour into the cooked pie crust and spread evenly. 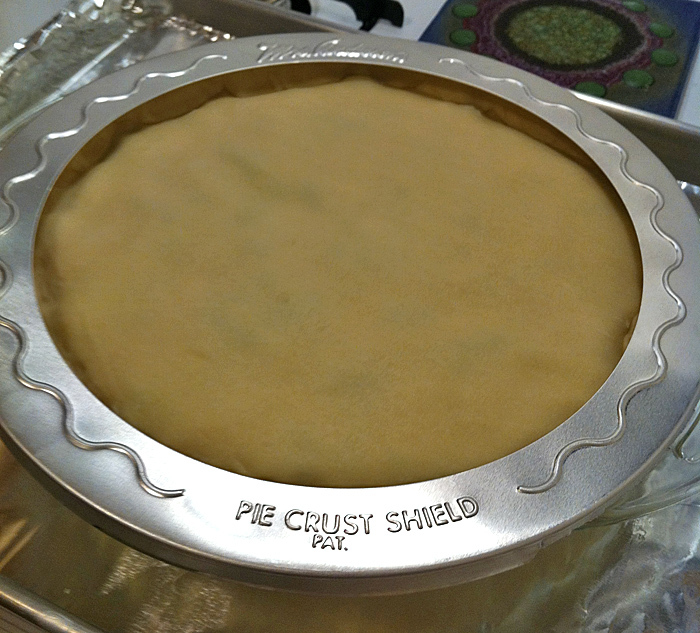 Place the uncooked pie crust on top of the pie and seal around the edges. I have found that it’s best to cover the edges with aluminum foil, so the crust will cook evenly. Bake at 400° for 15 minutes; reduce heat to 375° and continue to bake until the crust is lightly golden, about 30 minutes. Serves 6-8 depending on how generously you cut your pieces.